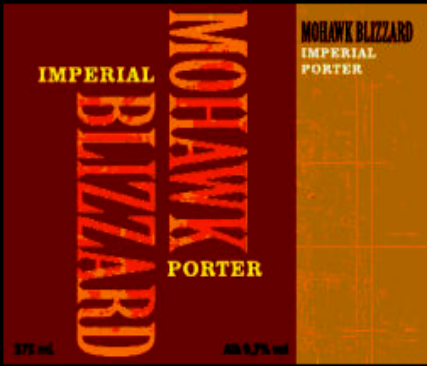 We took our seasonal Blizzard – an Imperial Porter with complex maltbase and modern hop – and hid it in wooden barrels that previously contained Jack Daniels and Heaven Hill bourbon. Then the beer aged four months in a large storage. The result is Double Barrel Aged . A complex and elegant beer with hints of licorice, coffee, vanilla, coconut, honey, caramel, violets, roses and cinnamon.